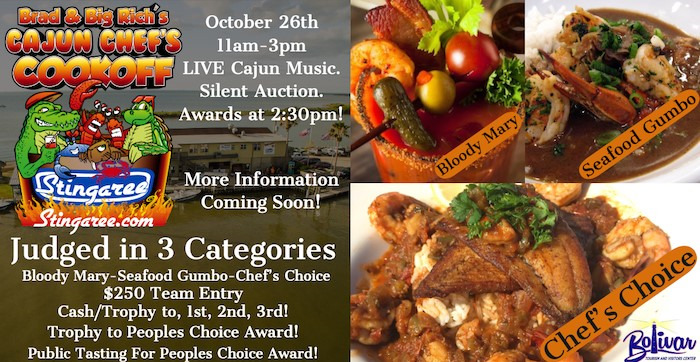 SAVE THE DATE... October 26 2019, 11am-4pm for a full day of fun in the sun, great cajun cooking and cajun live music! The 3rd Annual Brad and Big Rich's Cajun Chef's Cookoff date is set! More information and sign-up forms coming soon.